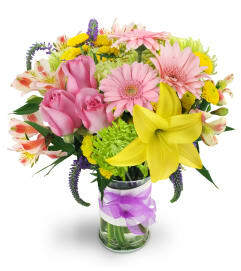 Take a lovely stroll through the strawberry fields with this sweet bouquet. 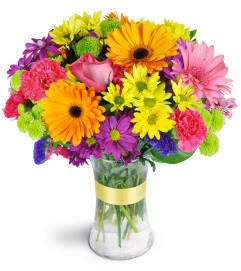 A soft and pretty arrangement of pink roses and yellow daisies, Mom will be thrilled when this arrives at her door. 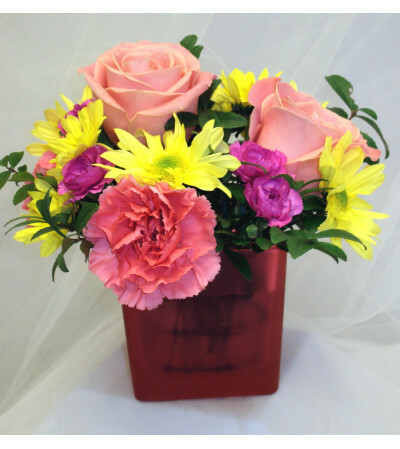 Pink roses, daisies, carnations and mini carnations accented with assorted greenery are all expertly arranged in a frosted pink cube.